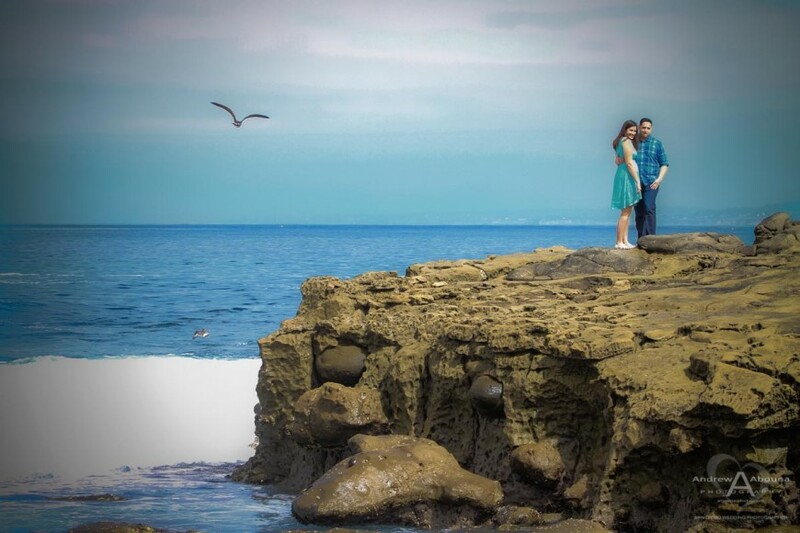 The dramatic Southern California coastline of San Diego, California provides for remarkably beautiful engagement photography in La Jolla. 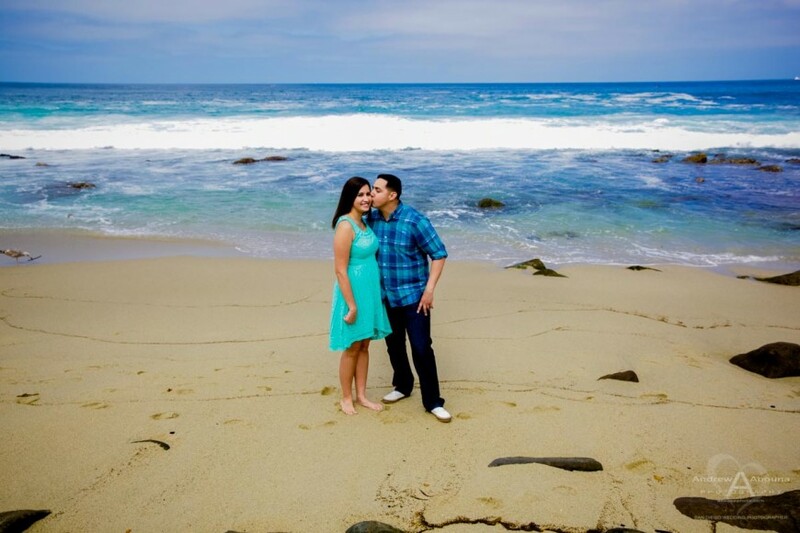 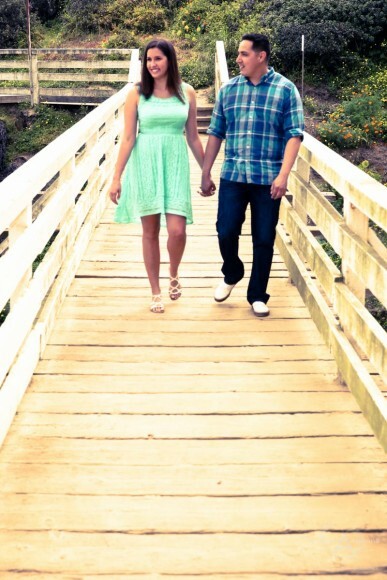 One of the most iconic areas, and the one Chelsea and Sebastian chose for their engagement session, is La Jolla Cove. 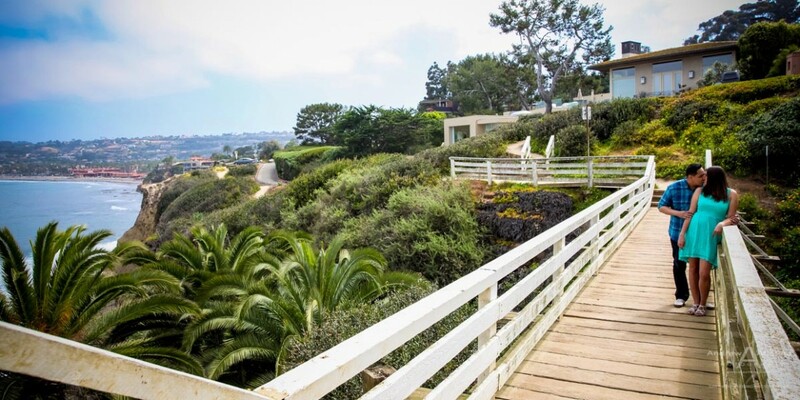 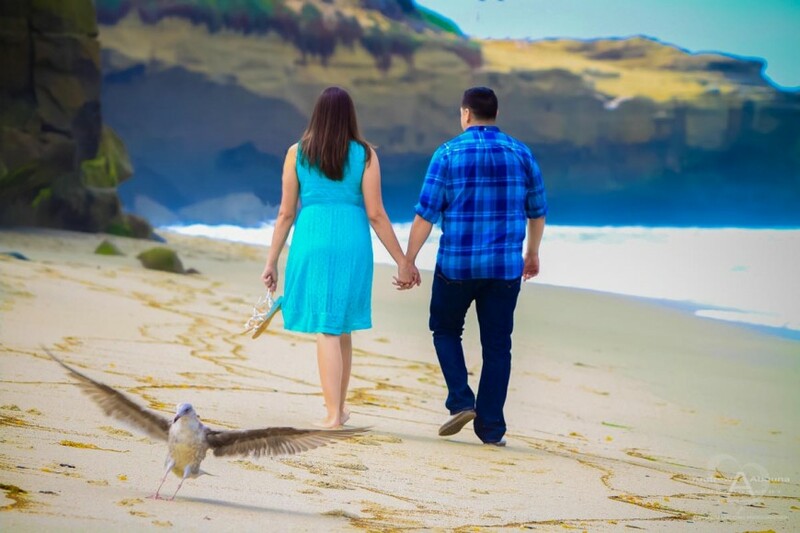 With sea cliffs, seaside paths, beautiful sandy beaches, spilling waves, birds, trees, grass, and amazing vistas, and of course their dog Lincoln, there was so many great perspectives for me to photograph for the couple. 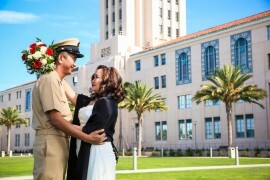 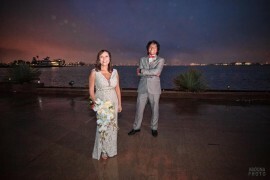 It’s going to be a delight to photograph their wedding in San Diego, too. 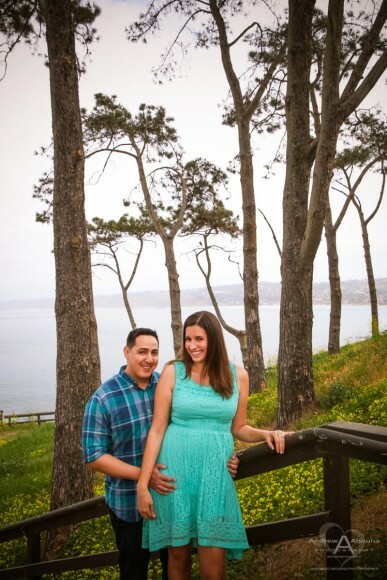 Photo shoots like this engagement photography in La Jolla for Chelsea and Sebastion near La Jolla Cove, in the community of La Jolla in San Diego, CA, also makes for a really great wedding idea because there are so many benefits from the shoot. 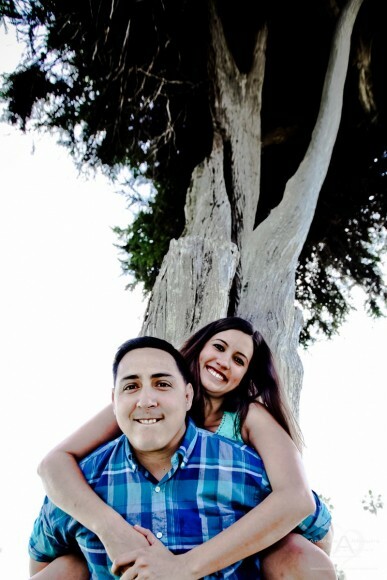 First, there’s the wonderful collection of portraits that we create from before the couple are married. 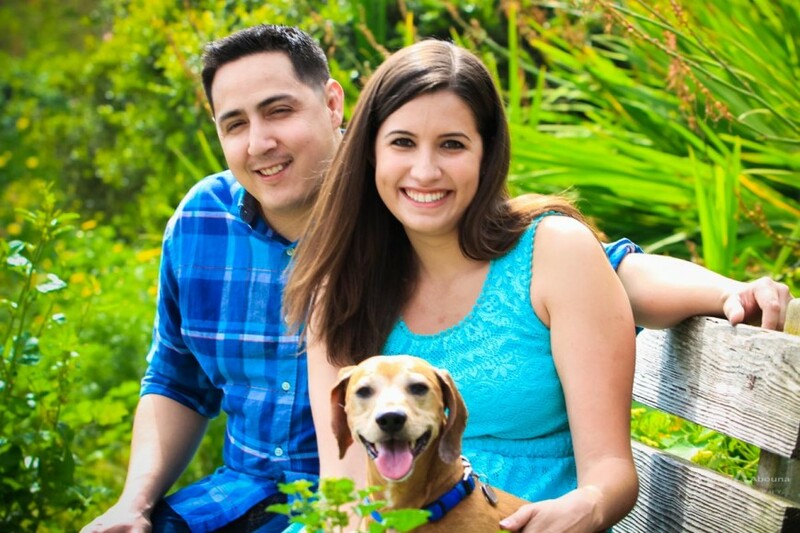 And for the wedding, the photos can be used for announcements, at the wedding reception for table numbers, or a photo can be made into a large mounted print for guests to see at the reception. 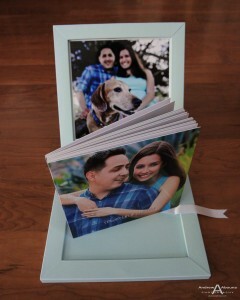 And not only that, but the engagement photography made for a wonderful keepsake engagement photo book, too! 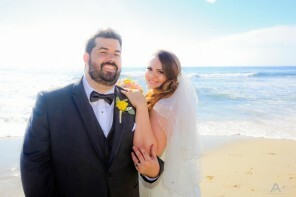 You can see more of their book in my wedding albums page. Engagement photos can also be used to create a very personalized wedding guest book. 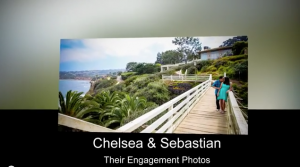 This a popular wedding idea that I’ve created for couples and it can be especially fun for couples and guests because it contains a collection of the wide variety of photos that are created during and engagement session. 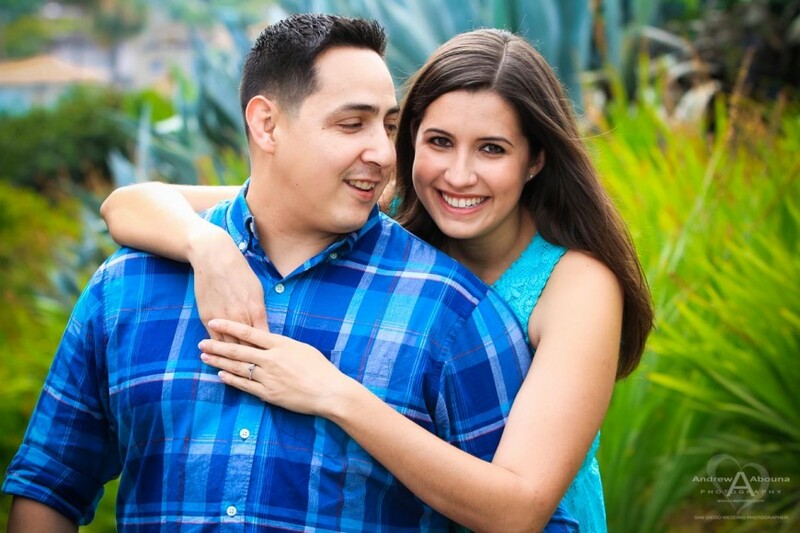 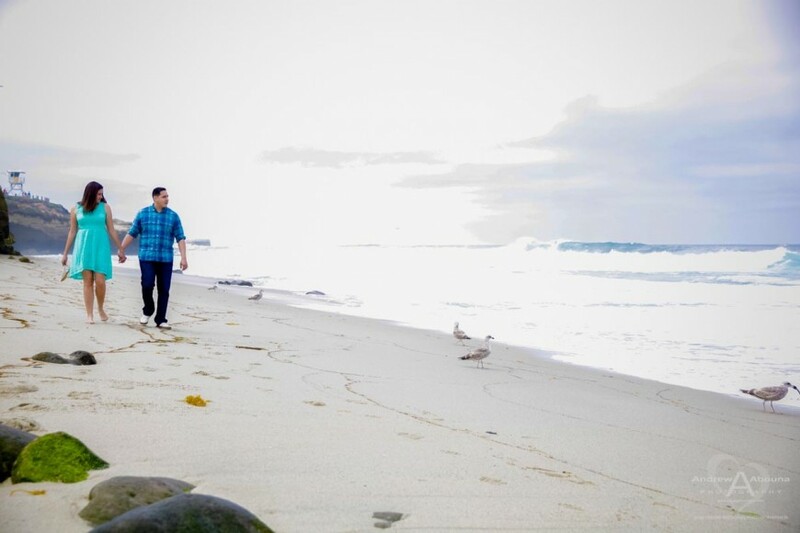 The engagement photography in La Jolla session also provides another really important part of wedding photography for the couple because helps them get used to the camera. 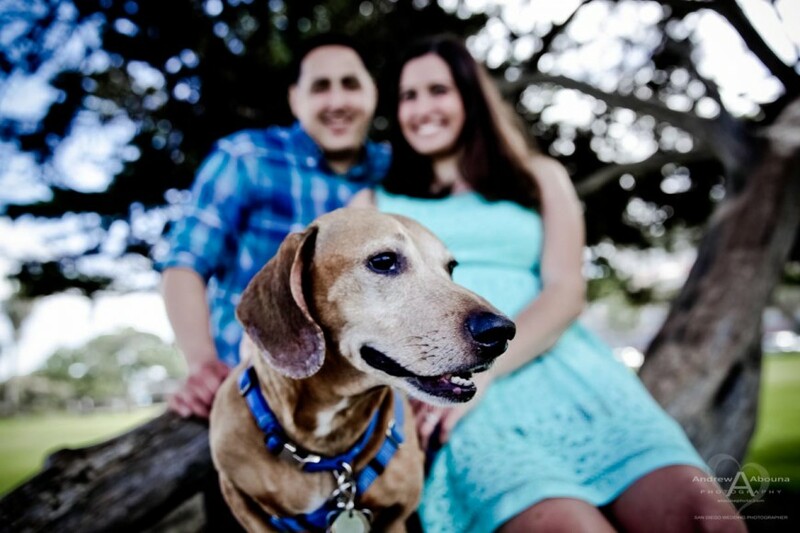 In fact, it’s also a great opportunity for all three of us to get comfortable with each other. 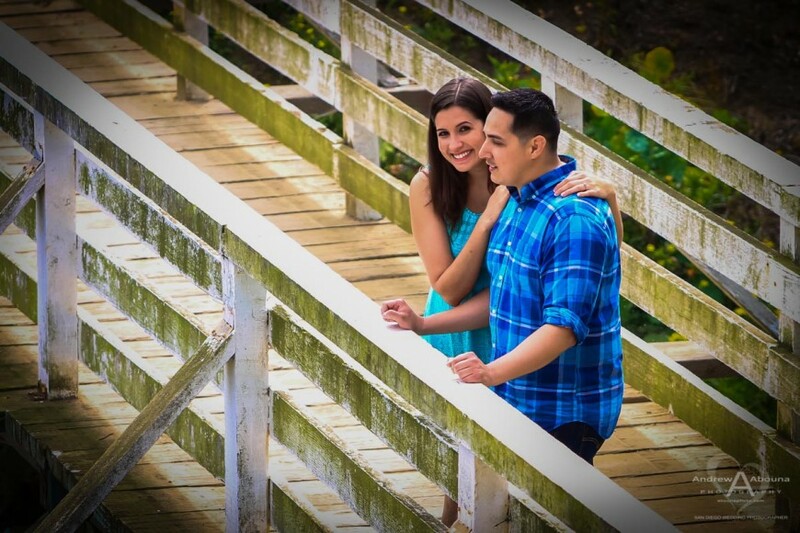 The time spent together during the engagement session can really help photography on the wedding day because we’ve had a chance to get know each other and what to expect. 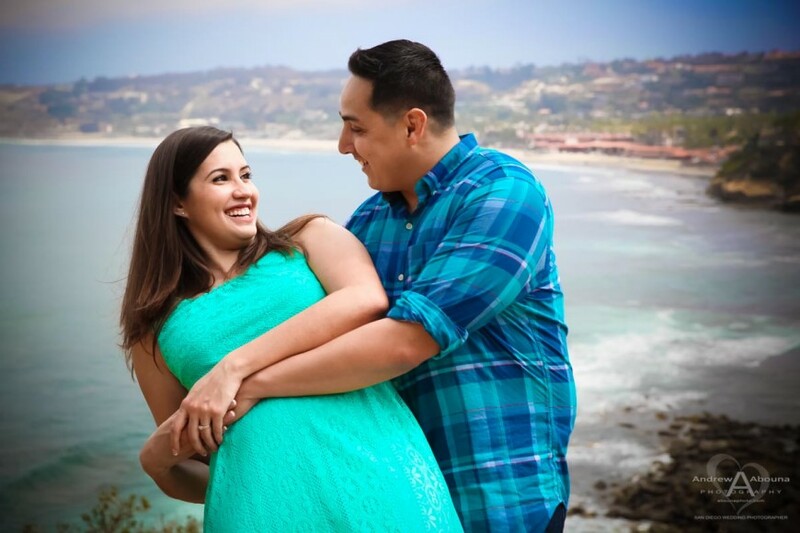 It’s an important investment in wedding photography and a key reason why I include it in many of my wedding photography packages. 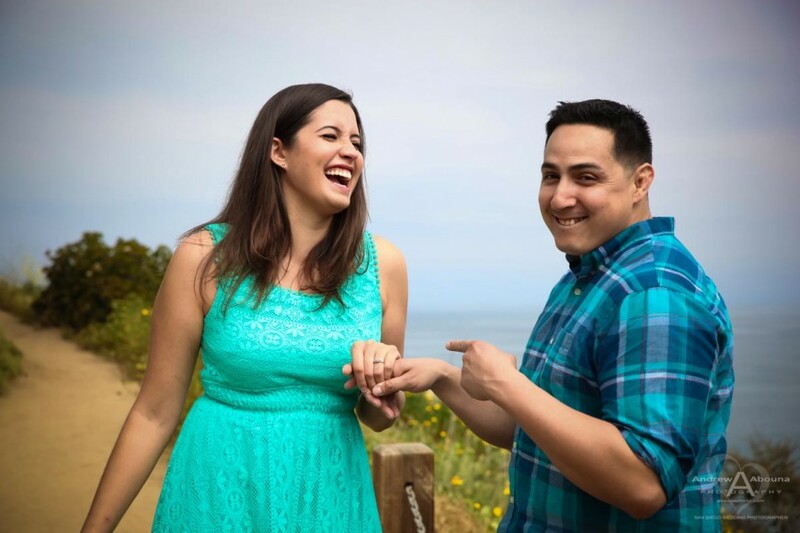 In addition to the selection of some of my favorite photos that I’ve shown on this page of the couple’s engagement photography in La Jolla, you can see all of their engagement photos at my San Diego Wedding Photographer Client Galleries (password required). 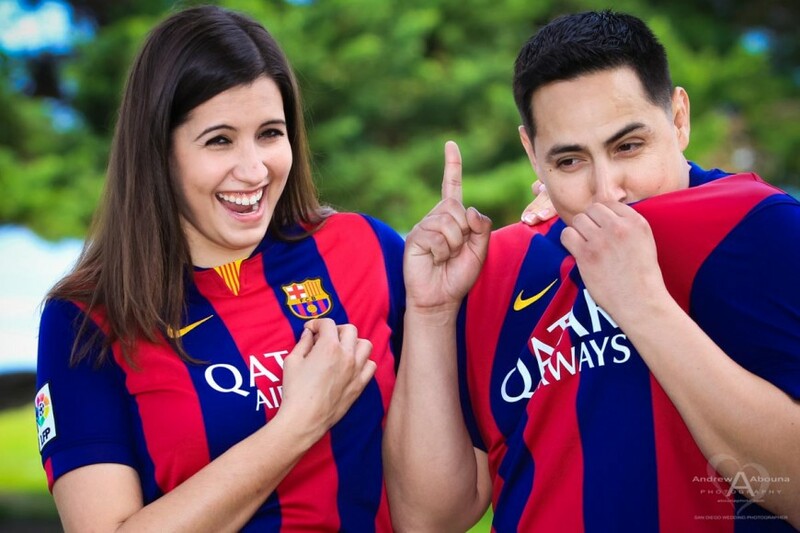 And be sure to watch a video of their engagement photography, too. 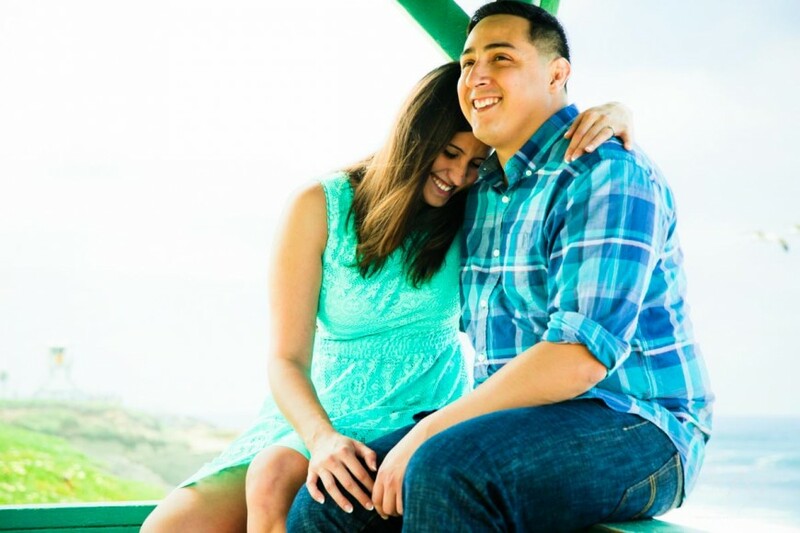 For more information about having me create your own collection of engagement photos, or to receive my Wedding Photography Guide with more information and packages prices, please contact me.